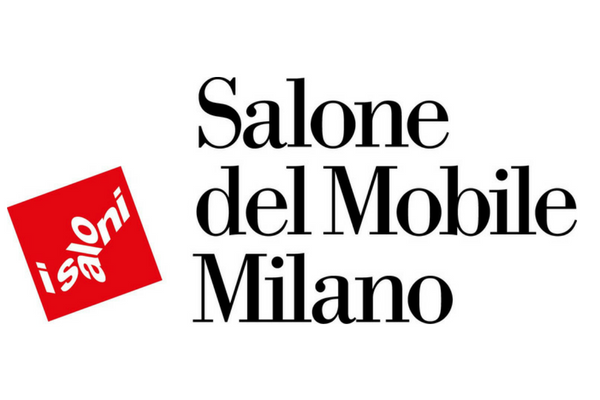 The International Bathroom Exhibition at Salone del Mobile in Milan is where tomorrow’s bathroom ideas and concepts are conceived. This year’s edition saw 243 exhibitors set up stands in an area of 20,600 square metres, showcasing a huge array of products geared to rest and relaxation. In it’s seventh year as a standalone exhibition, the innovative focus was on sustainability. 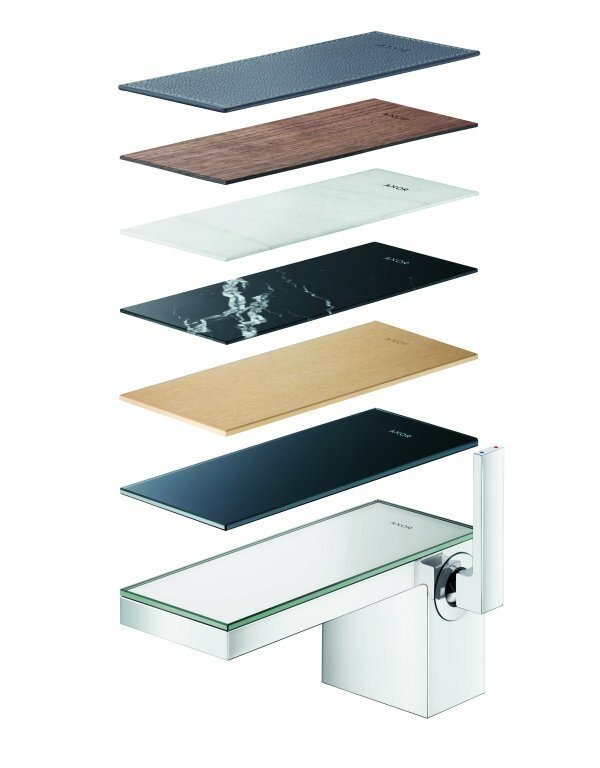 Cutting edge products for modern bathrooms reflected today’s strong demand for efficiency and energy saving, with the accent on water efficiency, indoor pollution prevention and personal health. Here are the top eight bathroom trends we spotted. Is less still more? The notion that good design is rooted in simplicity has been widely accepted since the 2000s. However, it’s all change now, because maximalism is powering into the bathroom with vivacious colours, graphic patterns and unapologetically luxurious pieces. 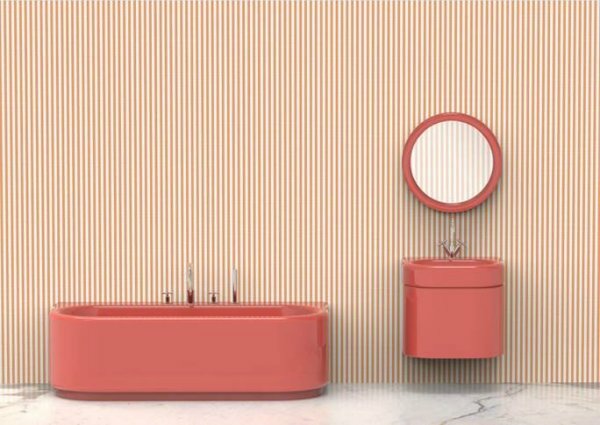 For her second collaboration with Bisazza, India Mahdavi has turned the traditional clinical white bathroom on its head with sanitaryware in three exuberant colours: pistachio, blueberry and strawberry (shown). To complement the bathroom collection, Bisazza and Mahdavi also plan to launch Pinstripe, a new mosaic pattern that takes its design cue from its namesake. This overtly pop aesthetic – a recurring trait in Mahdavi’s projects – was also adopted by Glass Design for its radical Ettore Sottsass basin. It’s a fitting tribute to the man who inspired it. The Mahdavi collection in strawberry by India Mahdavi for Bisazza is rewriting the rules. 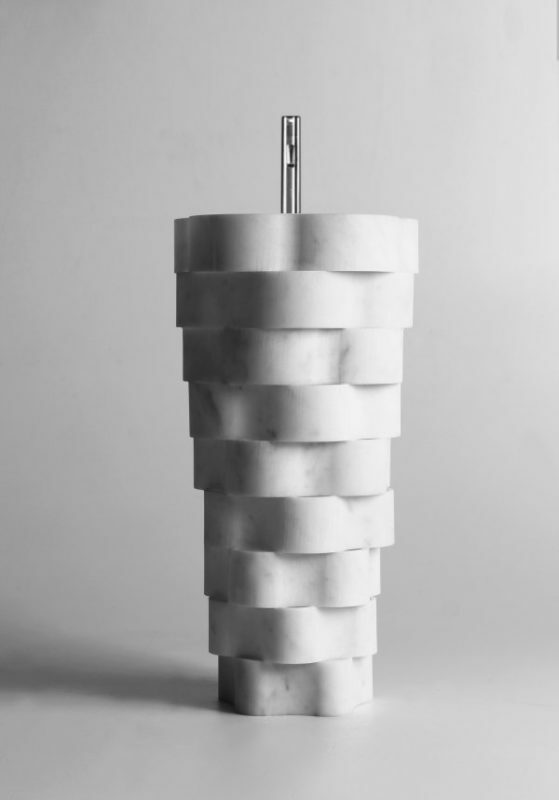 As we jostled to see the debut of Paolo Ulian’s Intreccio marble washbasin for Antoniolupi, the reaction around us was mixed. 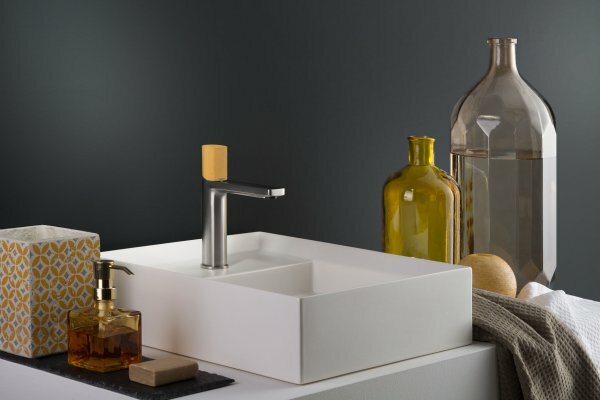 For our part, we fell in love at first sight, not least because in the course of investigating the relationship between an ancient material and new processing techniques, Ulian has successfully forged a fresh approach to basin design. It was a similar story on the Oasis stand, where the launch of its Plissé freestanding basin caused quite a stir. 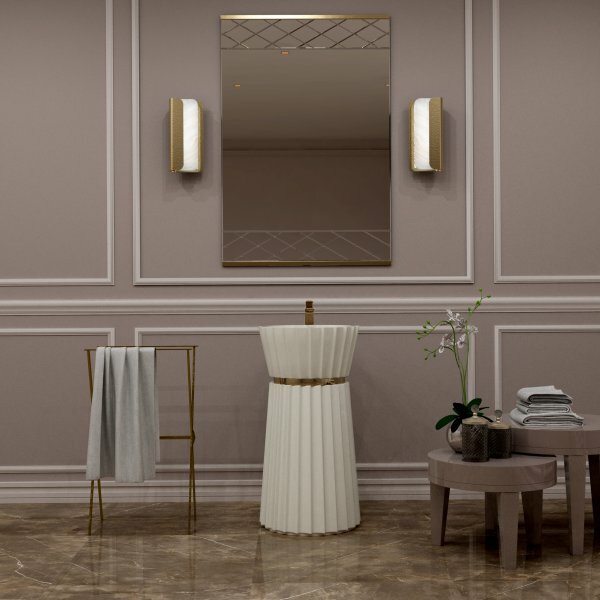 Crafted from opaque white ceramic, Plissé takes a fashionable approach to interiors with its cinched-in waist to better accentuate its pleating. It’s not one for the minimalists, but haven’t they had their say already? Nowadays, the influence of nature on design is less of a trend and more of a given. That said, the connection appears more pronounced now than previous years. 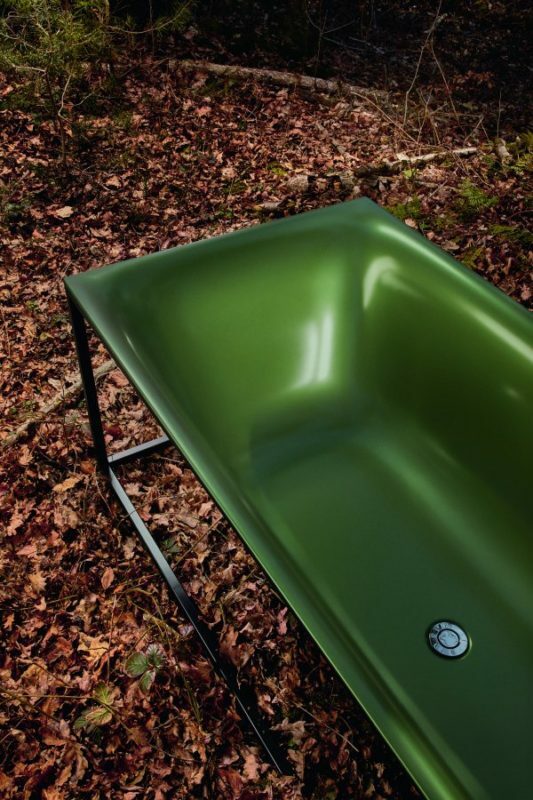 Take green, the colour most synonymous with nature and the great outdoors. In 2017, greens were all light, bright and leafy. Since then, the colour has taken a darker turn, adopting a more masculine feel. Bette’s BetteLux Shape bath is an excellent case in point, shown in a new Forest finish that changes shade depending on how the light falls. 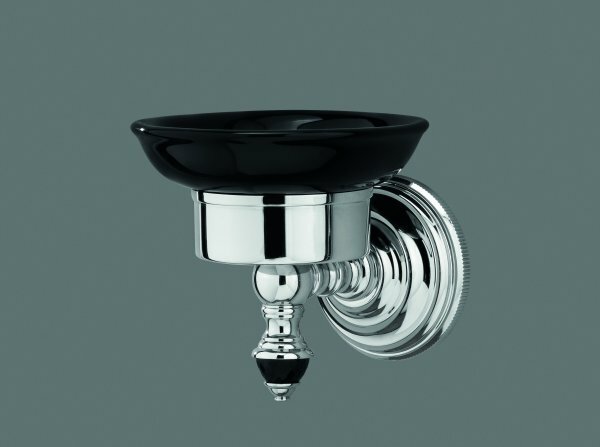 This gives the glazed titanium steel from which the bathroom specialist manufactures its designs an optical depth that makes it look almost alive. A dark green bath isn’t for the faint-hearted. 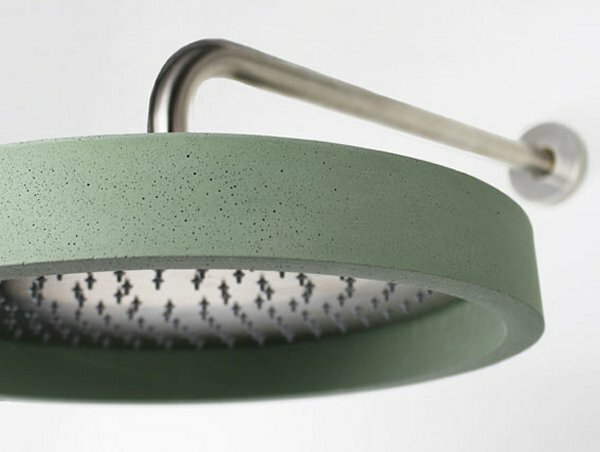 In light of this, Ritmonio has gone green (but on a much smaller scale), casting its Haptic showerhead in eight colours, including Amazzonia. What are your thoughts on burnt orange? Too bold? A bit brassy? If you’re cautious about colour, you might be tempted to give it a miss. However, used sparingly, a pop of burnt orange injects warmth into a restrained aesthetic. Consider, for example, Kartell by Laufen’s accessory collection, now available in an expanded colour palette including burnt orange. Paired with white sanitaryware, it adds a palpable joie de vivre to a space without overpowering it. For a more muted take on orange, look to matt finishes that absorb light rather than reflect it. The result is understated elegance. Once again, Ritmonio has nailed it with its new range of colours. Shown below is Sahara. Orange is not yet the new black when it comes to bathrooms. In fact, black is still around in all its sleek and stylish glory. Pair it with metals to add a touch of glamour to your bathroom; offset it with white to work the classic monochrome look; contrast it with a bright colour to make your scheme pop. There are no rights or wrongs when it comes to decorating a bathroom in 2018. Ultimately, it doesn’t matter what you choose as long as you pick pieces that speak to you. 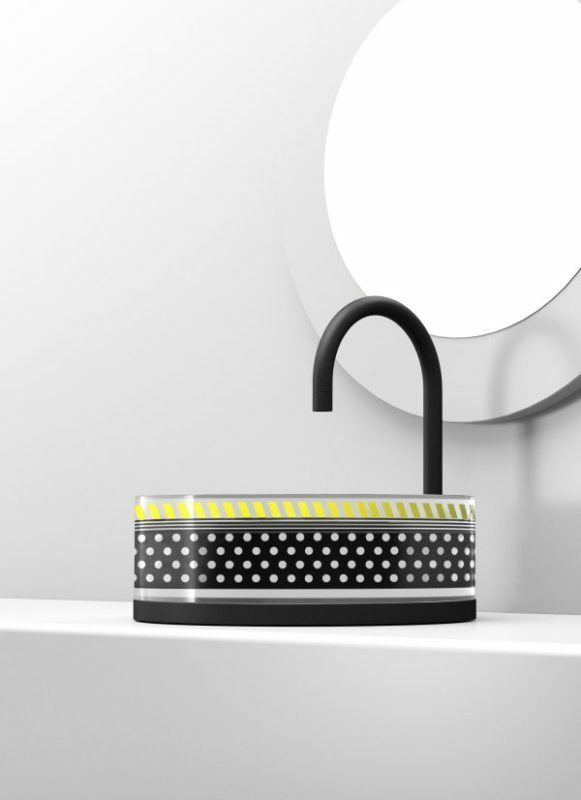 Perfectly timed to chime with this spirit of personalisation is MyEdition from AXOR, a new collection of taps created in collaboration with Stuttgart-based design studio Phoenix that’s designed for those who want to be different. 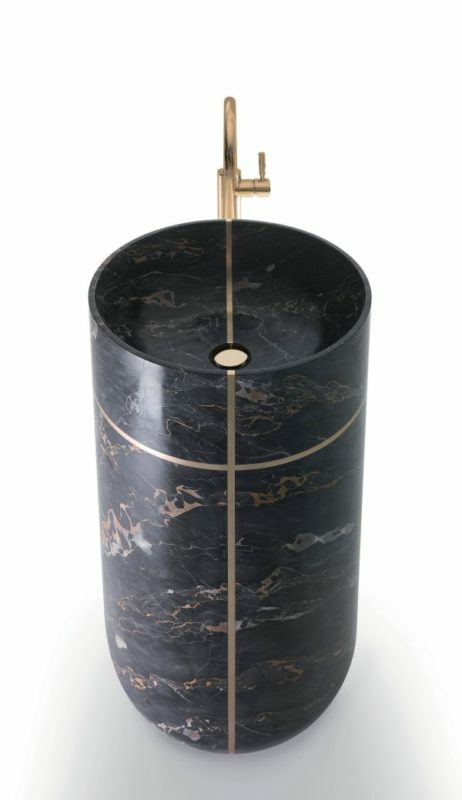 The taps can be customised in a choice of materials including the usual suspects – metal and marble – as well as a couple of more unexpected options, wood and leather. 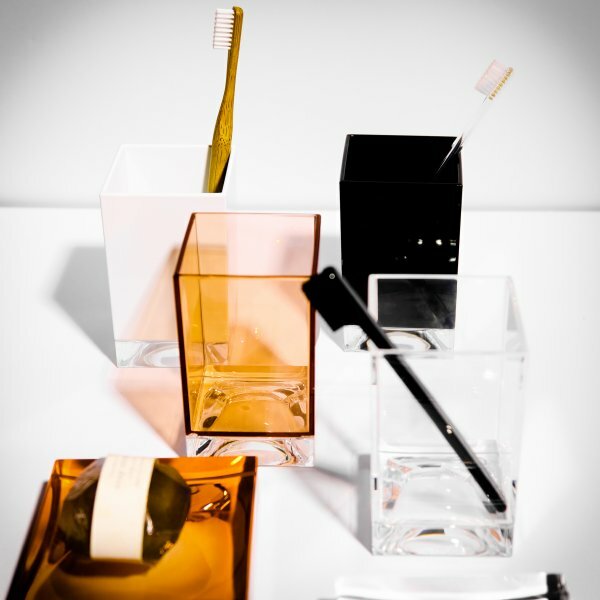 Customisation isn’t the only way for individualism to manifest itself in the bathroom. It takes place behind the scenes too. Take digital showers, which cut out the need for temperamental manual controls to achieve the perfect water temperature. Instead, you can set temperature at the touch of a button. Digital showers are just the beginning. 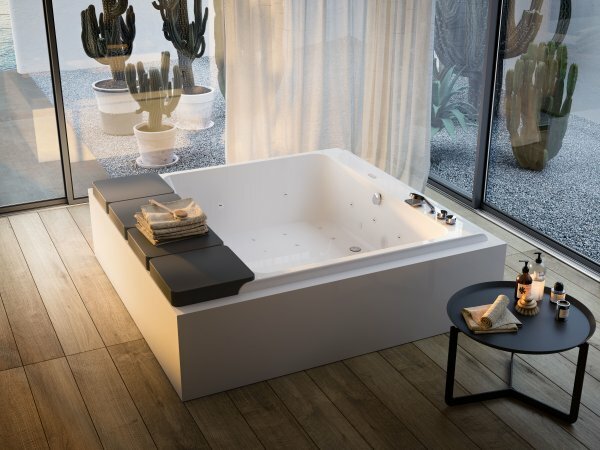 Glass1989 presented new additions to its SpaRituals collection, including the Mawi bathtub, which boasts SkinSublime, which fills the water with oxygen-rich micro bubbles. These are said to improve cellular regeneration, stimulate collagen production and combat free radicals that cause skin ageing. 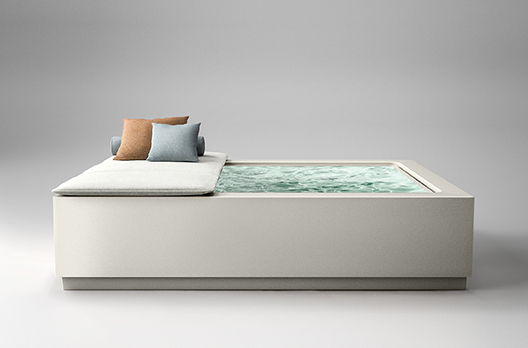 Meanwhile, Kos debuted its Quadrant Pool Relax by Ludovica + Roberto Palomba. A mini infinity pool suitable for indoors and outdoor use, its features include the Milk system, which releases tiny oxygen particles into the water, turning it from clear to milky white. Kos claims that the system helps tone muscles, stimulate skin hydration and restore tired bodies. Trends seen at trade exhibitions don’t become mainstream overnight. Some bubble under the surface for years before becoming mainstream. Take the living bathroom, the idea that the bathroom is another living space and should be treated as such. This thinking has been the subject of many a trends discussion (and has subsequently filtered into luxury homes) but it’s still a new concept for the majority. What helps the cause is when big brands pick up the mantle. 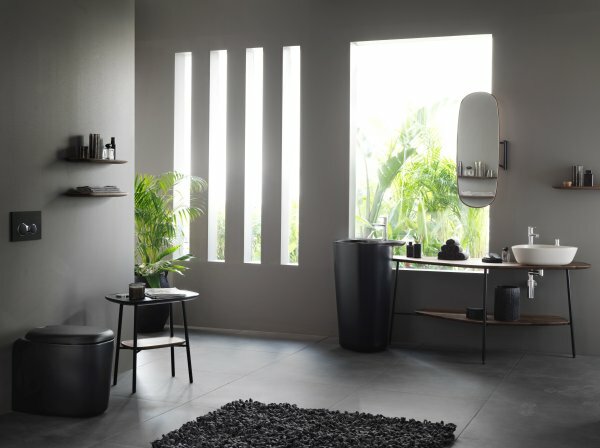 Cue VitrA, which unveiled Plural, its new living bathroom concept, at the exhibition. Created in collaboration with American designer Terri Pecora, Plural introduces the bathroom as a social hub where people meet and reconnect with themselves, their close friends and family. To signify the sense of warmth and domesticity, Pecora has conceived organic-shaped design elements in neutral colours and wood finishes that can be used in multiple combinations to form a personalised intimate setting.